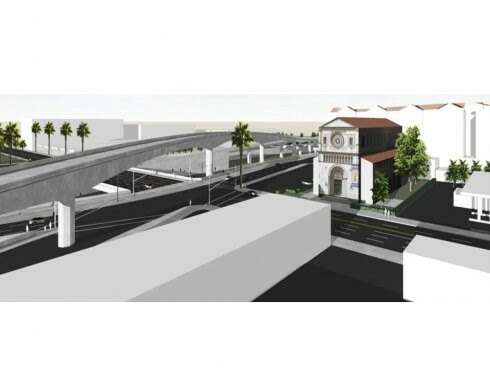 The proposed I-110 Flyover is a 54 foot high, two lane, concrete elevated transitway to be built adjacent to and looming over the historic St. John's Episcopal Cathedral (514 W. Adams Boulevard), moving traffic exiting on Adams Boulevard two blocks to Figueroa and 23rd Street. 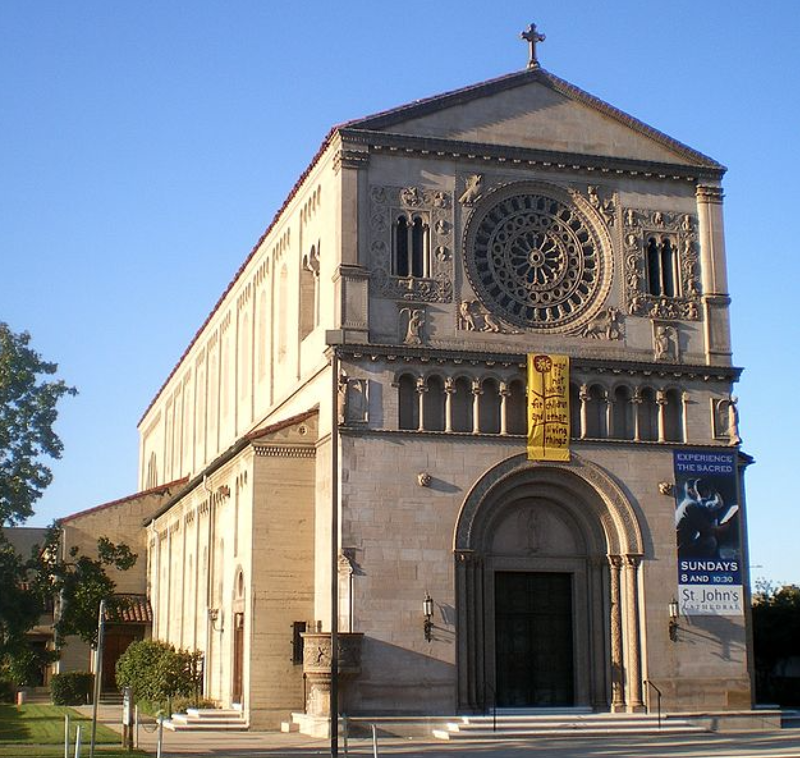 NANDC is opposed to the project due to its severe and irreparable impacts to not only the historic St. John's Cathedral but to the University Park neighborhood. 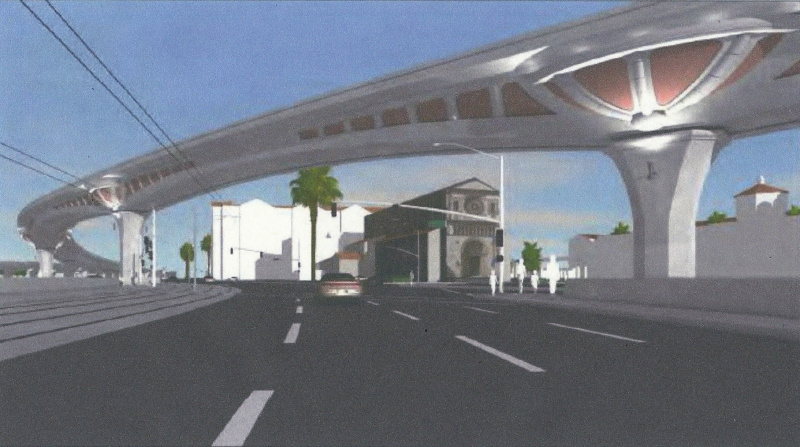 On March 3, 2016 NANDC formally voted to oppose to the I-110 HOT Flyover: "Because of its impacts to historic structures, the visual blight it introduces, how it runs counter to current City policy of promoting pedestrian and bike-friendly streets, and because it would disrupt the services and environment of the churches in the area, we support the "no-build" alternative in the 110 flyover project and support a full Environmental Impact Report above and beyond the Mitigated Negative Declaration finding." In the face of community opposition, Caltrans nevertheless continues to press forward with what is no longer a 50 million but A ONE MILLION DOLLAR project that would move traffic two blocks, dumping traffic at the intersection of Figueroa and 23rd Street where it will create further traffic and circulation problems. All to cut seconds off a car waiting in the HOV/HOT off ramp on Adams? This does not solve the traffic and mobility problems inherent in the downtown area but rather moves the mobility issue two blocks to an already challenging intersection. Join NANDC in opposing this project. We thank Councilmembers Price, Cedillo and Harris-Dawson and Assembly member Reggie Jones-Sawyer for their opposition to this egregious project and ask Mayor Eric Garcetti to take a stand in opposition. The time is NOW. For more information, contact NANDC.